Do you need insurance to test drive a vehicle? When test driving a vehicle from a dealership, their insurance should cover you. When test driving a vehicle from a private party, you will want to ensure they have adequate coverage for the car in place. It is in your best interest to find out for sure you are adequately covered by insurance before you test drive a vehicle. When you get behind the wheel of a vehicle you already know that you need to have car insurance. While virtually all states have their own mandatory insurance or financial responsibility laws, laws that pertain to vehicle owners may not apply to consumers who are test driving a vehicle. When you test drive a car that’s sold by either a dealership or a private party, the purpose is to see if the car drives well so that you can decide if you want to purchase it. Starting the engine to that car of your dreams to take it for a spin could be a major mistake if you choose to do so uninsured. Understand when you are and are not covered, and get peace of mind so that the car buying experience does not land you in civil court. Are you covered when test driving cars at a dealership? Are you covered when test driving cars with a private seller? – Do you have valid insurance on the vehicle? –Will your insurer cover permissive users? – Do you have physical damage coverage on the vehicle? It is rare for the dealership itself to require that you have insurance, but that does not mean that you are always covered in all scenarios. If you are a first-time car buyer or you currently do not own a vehicle, you will not be insured when you go to the dealer lot. While every dealership has their own rules, you will usually not be denied the opportunity to drive one of their products because you do not have your own insurance. The company will ask for your driver’s license to verify that it is valid, and their dealership insurance will typically cover anyone that test drives a vehicle in their fleet. Even a small dealership can have millions of dollars worth of merchandise on their lot at any given time. To protect their fleet of vehicles while they are up for sale, the dealership buys comprehensive dealership insurance. The dealership packaged policy often includes garage coverage that will repair the vehicles for a stated blanket limit. It will also include third-party garage liability coverage in the event that one of the vehicles is involved in an accident that results in injury or damage. Commercial dealership policies are not like standard auto insurance. They do not cover the registered owner and listed drivers because the drivers who have access to the lot vehicles can change daily. Instead, the policy provides coverage for different classes of drivers and vehicles. Newly acquired vehicles, non-owned vehicles in the system, and vehicles being repaired that are owned by clients are all covered while on the lot. Since you would be classified as a customer test driving a lot vehicle, the physical damage coverage and the liability coverage will extend to you while you are on a test drive with an employee at the dealership. The coverage will remain valid as long as you are licensed to drive. You should get familiar with the auto insurance laws in your state before you assume that you are covered to test drive a car with a private seller. Buying from a private seller can help you eliminate the haggling and keep the cost down, but with the benefits come other potential costs. You will need to ask the seller a few questions before you are tempted to go for a drive that could result in financial devastation. If you are going to drive the vehicle, it must be registered. In order to keep a car registered, the owner must insure the car with at least liability or no-fault coverage. You, as the driver during a test drive, could be cited for operating a car with no insurance if you take the chances. In a more serious scenario, you could face civil penalties for having an accident in an uninsured car. To avoid the complexities that come with accidents in a vehicle you do not own, verify that the owner has a minimum amount of liability coverage. A majority of car insurance companies will provide coverage to named insureds, household members, listed drivers and permissive users. When you are test driving a car, you are classified as a permissive user. Ask the seller if they have verified that licensed drivers who have permission are covered by their policy, and do not proceed if they have not. After verifying that permissive users are covered in liability losses, you should then inquire about the type of optional cover the seller carries. If a person is selling their car on the private market, the car is probably paid off. Since there is no loan, the owner does not need to carry comprehensive and collision coverage to protect against physical damage losses. Choosing not to carry physical damage coverage does save the policyholder money, but it can lead to problems if you get into an accident while you are operating the car. You should ask if there is full coverage and how they would handle the deductible if you did cause an accident. 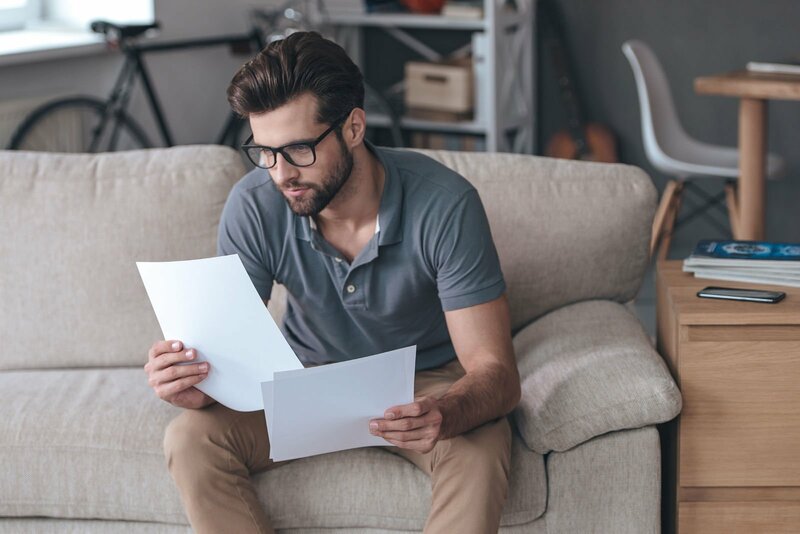 It could be best to get the agreement in writing if you do not want to purchase a specialty non-owned insurance policy just to decide if a car is right for you. If you do not inquire, you may be shocked to learn that you are being held responsible for retribution because you damaged the seller’s property. While this rarely happens, it is better to be safe than to be sorry. If you are ready to start negotiating the sales price for a vehicle, it is time to start pricing the cost of coverage. Start by entering your zip code in our FREE car insurance comparison tool below!